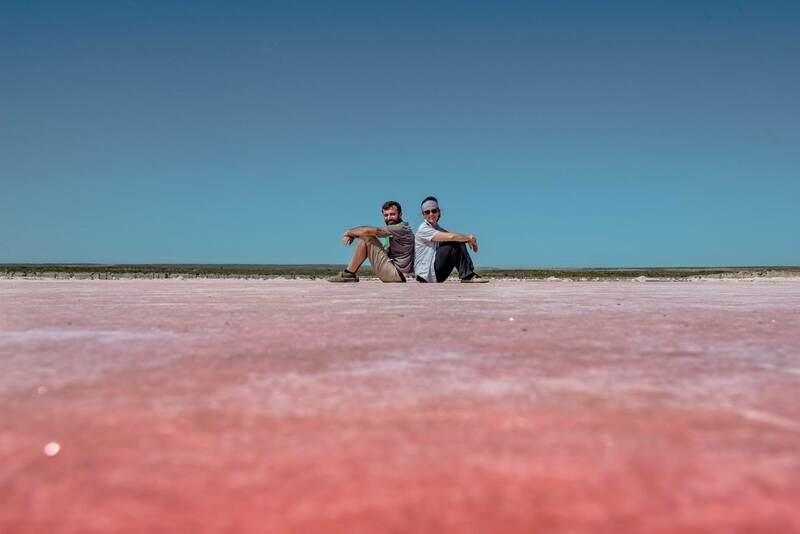 It’s almost a year ago today that we published the blog – Globetrotting with Victron Energy. Things have certainly moved on since then for Simone Monticelli (Simo), Lucia Gambelli (Lucy) and their Victron equipped globetrotting truck, Valentino – named after possibly the most famous GOAT (Greatest Of All Time) motorcycle racer, Valentino Rossi. 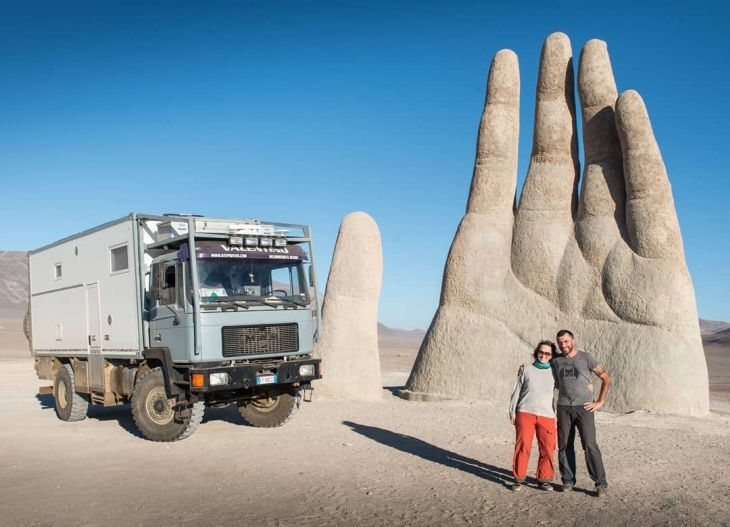 To date this intrepid couple and their 4×4 supertruck have over 500 days of travel with 13 countries crossed and 3 different continents under their belts – as this map shows. A few months ago Simo got in touch with me about the possibility of some Victron upgrades and a little sponsorship. It took seconds to say yes to this enthusiastic couple. Passionate about Victron kit and with the fantastic photos they post – it was hard to say no! Over five hundred days ago we left Italy in order to start our journey. At the time we knew our travels would last, but not take us as far as they already have. What we did know back then is we would leave Italy and our first destination would be Morocco. Beyond such initial certainties we only knew that our truck would become our new home for some years. Argentina wasn’t even on the agenda back then. Trying to work along the way, to finance our journey, it has been important to calculate a daily budget that we must try to respect. The way you prepare a vehicle for independence, that is also a home on wheels, is important for not only comfort but equally for the daily budget. Additionally we have to consider that turning a truck into a four-wheeled house, ready to face a hypothetical tour of the world, means that both the vehicle and the owner/s must be ready for anything. Argentina – Salar de Arizaro. 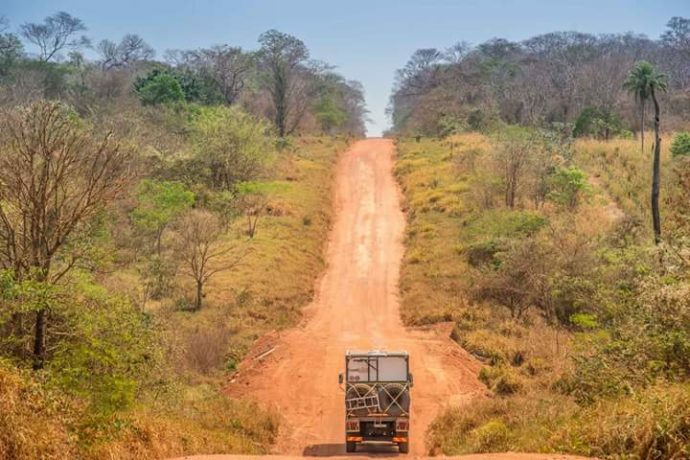 We have always been passionate about off-road vehicles, remote locations and generally inaccessible places – but above all the most important thing for us in such locations is independence and self-sufficiency. For us also it is important to forgot the typical situations of a conventional overland trip, i.e. camping or rest areas. Staying for a few weeks in solitude in the desert, in the steppe or wherever we want to park is an essential prerogative of our journey, so the vehicle has to be set up accordingly. Today as I write we are in Perù, far from Senegal, the country from which we first presented ourselves to the Victron Energy blog a year ago. 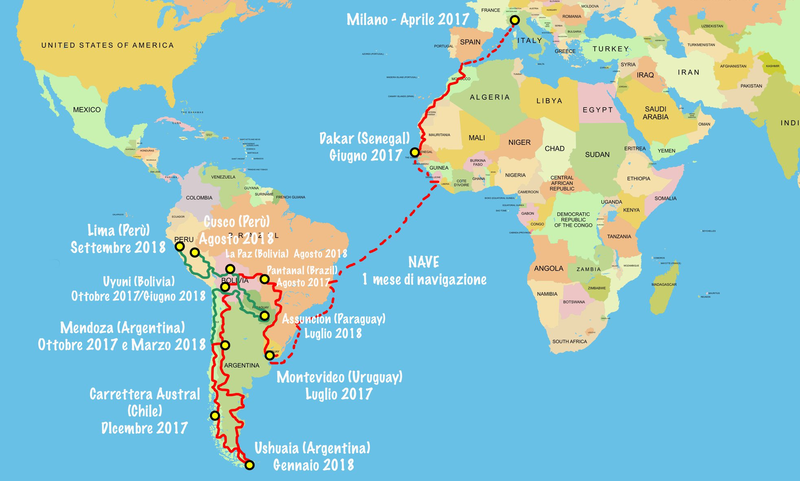 Actually we have been travelling for about a year and a half and from the day of our departure we have crossed: Morocco, Mauritania, Senegal, Uruguay, Brazil, Argentina, Chile, Paraguay, Bolivia and finally Peru, the country where we are now. Here’s a selection of photos from these areas. 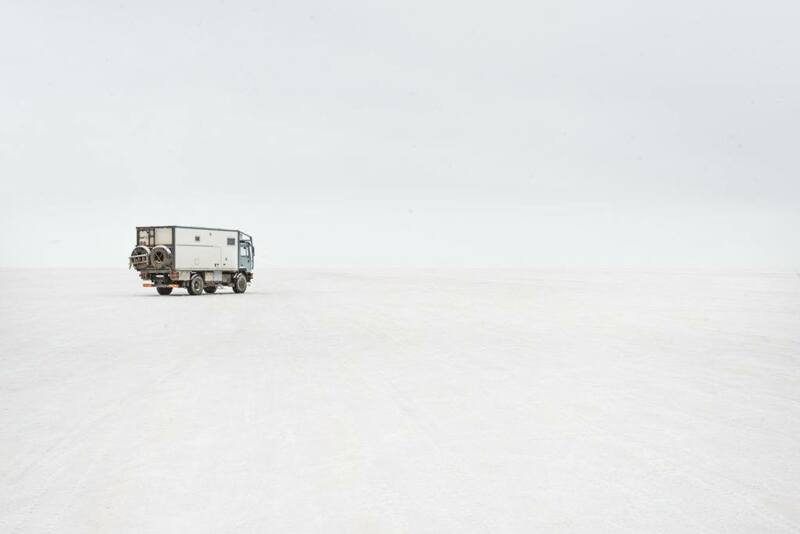 Bolivia – alone on the road. Bolivia – Salar de Uyuni. Patagonia – Torres del Paine National Park. 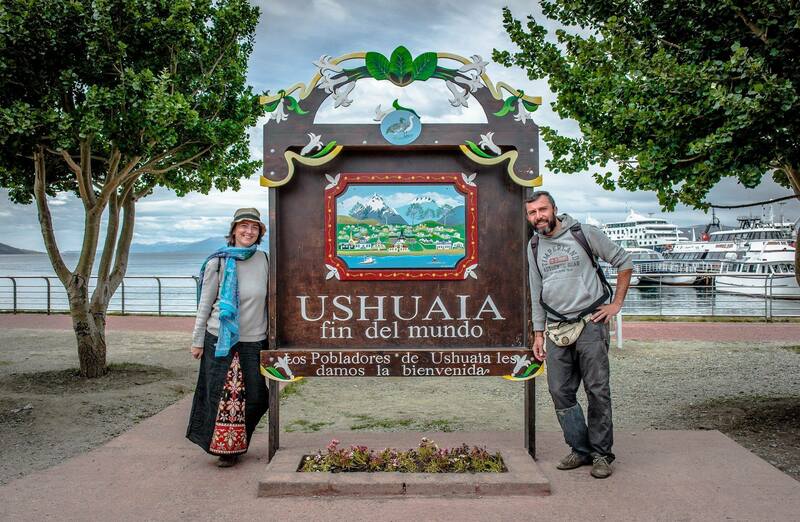 Argentina – Ushuaia, Tierra del Fuego (The End of the World). Now you have a flavour of our travels let’s get back to our choices – and why we chose Valentino to be our home. Many ask us why we have chosen a truck for our journey and the answer is very simple, because this is the only vehicle that could allow us to carry the weight of a truly independent set-up while remaining comfortable in the days when we have to live inside (rain, snow, illness). 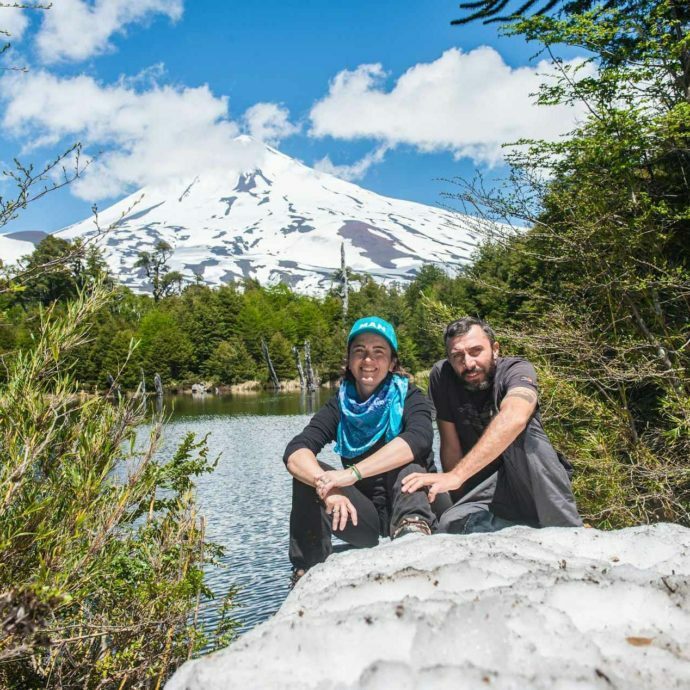 For us, as previously stated, it is important to limit the travel budget as much as possible and for that reason we can say that the more independent the vehicle is, the more we can limit daily costs. 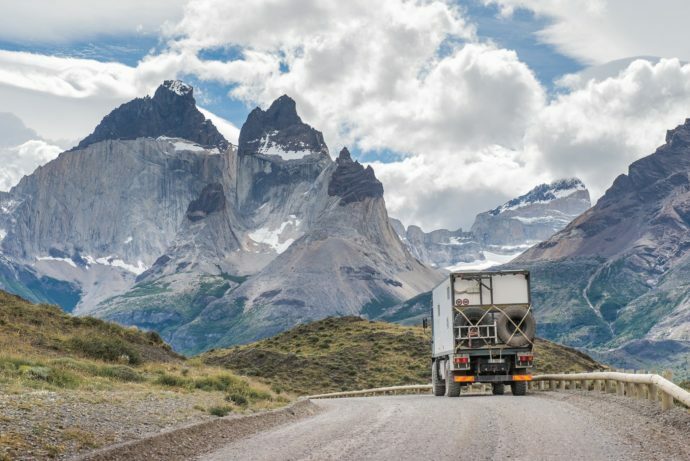 Some may think that a truck like ours consumes more than a smaller vehicle and that therefore their savings may somehow be relatively smaller too. 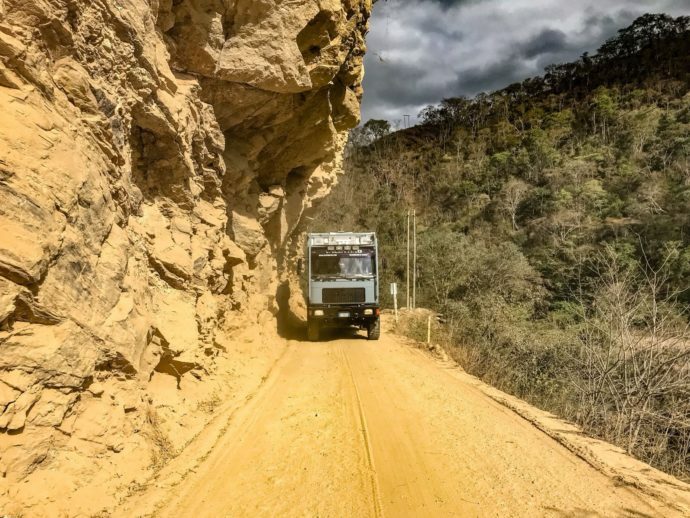 However, during our trip we have interviewed dozens of travellers, many that are on the road for many years, from those who travel by motorcycle to those who use trucks like ours through to normal 4x4s and VW Kombi type vehicles – that today are so fashionable (just look for #vanlife on Instagram). Many of these people have found that they spend twice our monthly budget, and this stems mainly from the fact that they have to use services that their own vehicle cannot deliver (bathroom, electricity, cooking, heating, clothes washing, security…). Think about the electricity needed to power our induction cooker for instance, which allows us to cut the costs and inconvenience of any propane cooking gas. Cooking with electricity eliminates the difficulties of finding the correct size and shape of gas bottles when changing countries. True, you can say that there are kitchens that are powered by diesel, but these are more for the marine world – where the altitude is never a problem! We however have ascended to 5,000 metres for many days in Bolivia and would have found ourselves in serious problems with the difficulties of operating gas cooking devices over 2,500 metres. In the overlanders world energy means independence, and the energy we use is produced exclusively by the solar panels that we have installed on our roof. Actually we have 1.5kWp of Victron Energy photovoltaic modules that are controlled by two BlueSolar MPPTs, a 150/70 and a 75/15. These controllers (our source of power conversion from the panels) charge a Victron Energy Gel battery bank, which stores around 21 kWh of energy. Our 4×4 truck is also equipped with a combined oven, which we use a lot to cook our favourite dishes, plus a washer-dryer that for us is fundamental to limit, by comparison, the dependence others have when using paid facilities. Again our solutions are ones we chose in order to limit the travel budget. Onboard, therefore, we need a fair amount of electricity at 230 volts. This is produced by our Victron Energy Quattro 24/5000/120 inverter /charger, which has become the real heart of our plant and the true power of our daily life. As you can see, the batteries are really important for us and for this reason we have included in our system the 220 Ampere BatteryProtect and a Battery Balancer which together with the Color Control GX (CCGX) guarantees protection and visibility of the status of the entire system. Therefore, whilst limiting travel costs is good, it also makes sense to keep your equipment monitored and under control – these components then become a very worthwhile investment indeed. In the daily budget that we calculated before we left, we also estimated the costs of repair, replacement and adjustment of systems that might fail. For example, many travellers limit themselves to using batteries and systems without protection, balancing, monitoring and control – to the point their batteries stop working – and then maybe complain when those batteries ‘seem to’ fail prematurely. Maybe they were equipped with good kit, but failed to adequately monitor their system and then end up spending on new kit they hadn’t budgeted for. This is why we have chosen to monitor everything properly. We simply can’t imagine our daily life in the truck without a BMV and CCGX for example – they are really fundamental for us. Independence means not only energy, but also water and for this reason we have equipped our truck with a system capable of rapidly creating potable water in large quantities. It’s thanks to our water purifier that we can then drink water safely, without the need to buy plastic bottles. A small amount of energy is involved in this process, in fact we have to feed a high-pressure pump and a UV lamp for this. We also use our onboard clean water to wash our clothes and for that reason we decided to recycle a part of the grey water. The waste grey water is cleaned by filters and can be reused for the washing machine or rinsing the toilet. 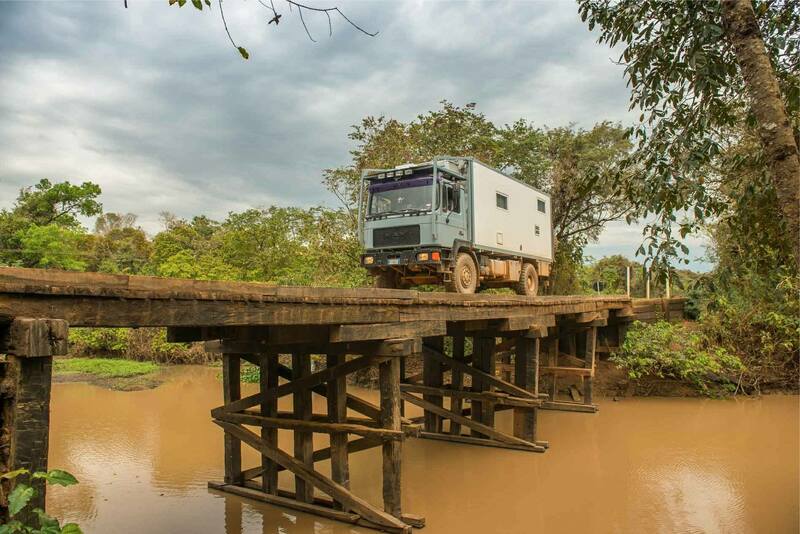 There are conflicting opinions regarding the use of on-board electronics for overland vehicles. In our experience these doubts are better founded if they concern the vehicle chassis, but they are really unjustified where the living quarters are concerned. The electronics in our vehicle are monitored by a tailor-made domestic system and this allows us, in addition to increasing the comfort on board, to monitor many aspects concerning the safety and reliability of our housing module. Temperature probes check if thresholds are exceeded and then they can trigger problem-mitigating mechanisms, such as fans or heaters in case temperatures drop below zero. Sound alarms are ready if there are some water leaks, and if there are problems with the water pumps. A constant monitoring of the battery status allows the domestic monitoring to turn off utilities that may have been left on, as well as turn on the cameras that allow remote surveillance. These systems help us to preserve our investment, but also to keep the travel budget as low as possible. 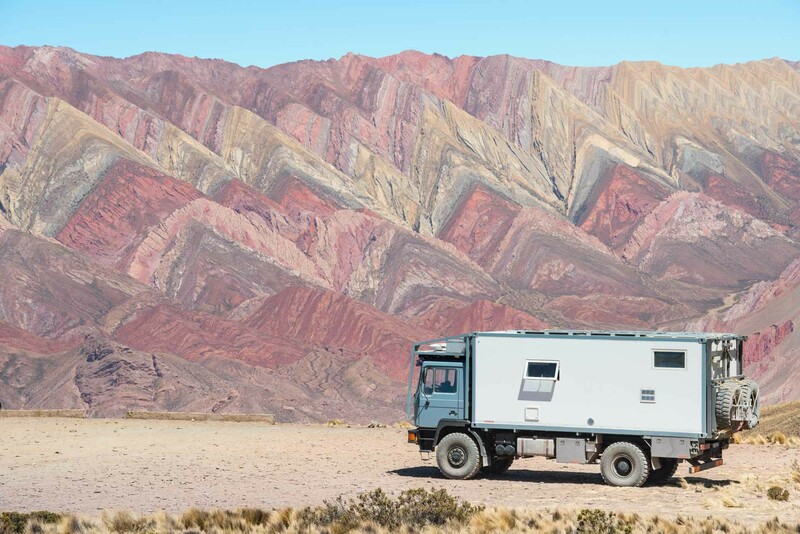 In over 500 days of travel we have cooked, heated, cooled and lived in our truck without ever having to recharge the batteries from a paid energy source whilst always trying to work in compliance with the optimal parameters for the life of our battery bank. However, each system can be improved, so now we are going to perform some upgrades by installing for example a second inverter/charger that will be a backup for the primary – being previously just one Quattro and the only non-redundant component of our entire system. The new inverter will also be used to supply external utilities, such as a welding machine in case we need to repair the truck, a winch to unload our motorcycle and other heavy items. We will also install an intelligent device able to recharge the batteries using our alternator. In this case we will use a Victron Energy Buck-Boost DC-DC Converter capable of 25 Amps, that properly programmed will allow us to have a new source for recharging – this in view of the days we may spend in the cold when we reach Alaska. The inverter we are going to add will be a MultiPlus 24/3000/70 and will be equipped with its own Digital Multi Control, as well as a BMV-702. We will document the upgrade of our system through articles that you can read on our Stepsover blog and view on our YouTube channel. Links below. Until then and a next update here on the Victron Blog – do think carefully about your overland choices before diving into worldwide travels.